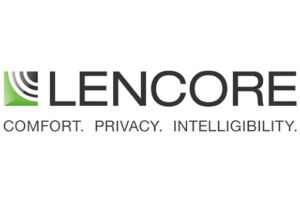 Lencore transforms environments that change people’s lives. We create more privacy, greater comfort and better safety. We see a world where the workplace is safer, more productive and privacy matters; a world where communication is instantaneous and clear; a world where the environment is as ideal for an individual as it is for group collaboration. Our mission is to provide the finest acoustical comfort, speech privacy and mass notification solutions.